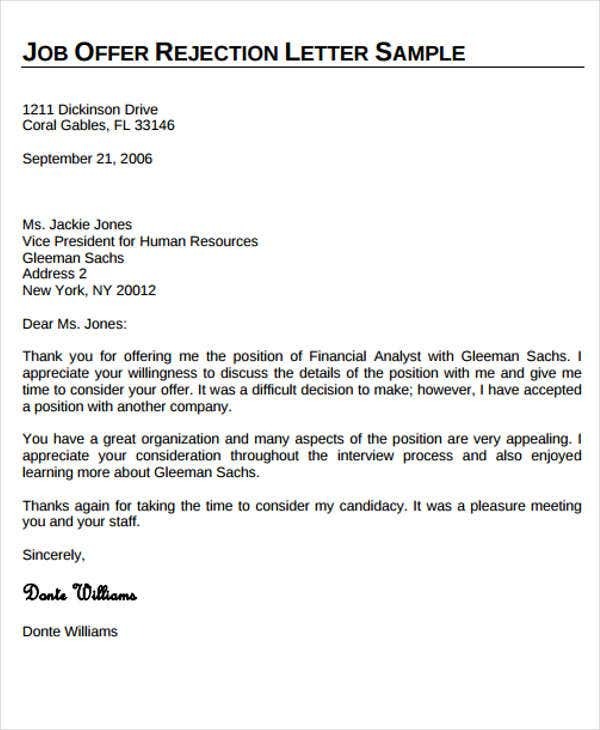 Whenever an aspiring employee applies for a job position, it is a goal in mind to get an offer letter and finally provide his or her services to the company. Getting an interview invitation is already a joy to behold, but being offered with an actual work position is another thing. However, there may be instances that disallows an applicant to pursue his or her application and employment processes. 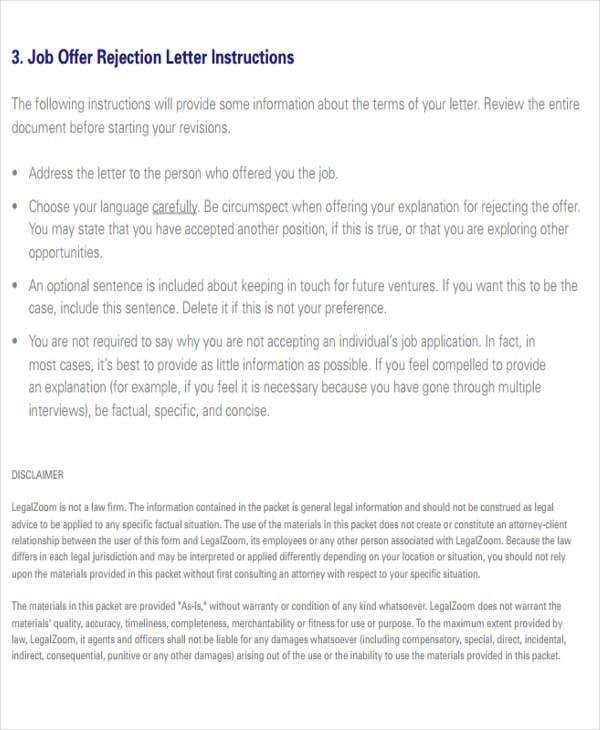 If you have been offered with a job by a company and you cannot accept it anymore, it is more than appropriate to send them an offer rejection letter. 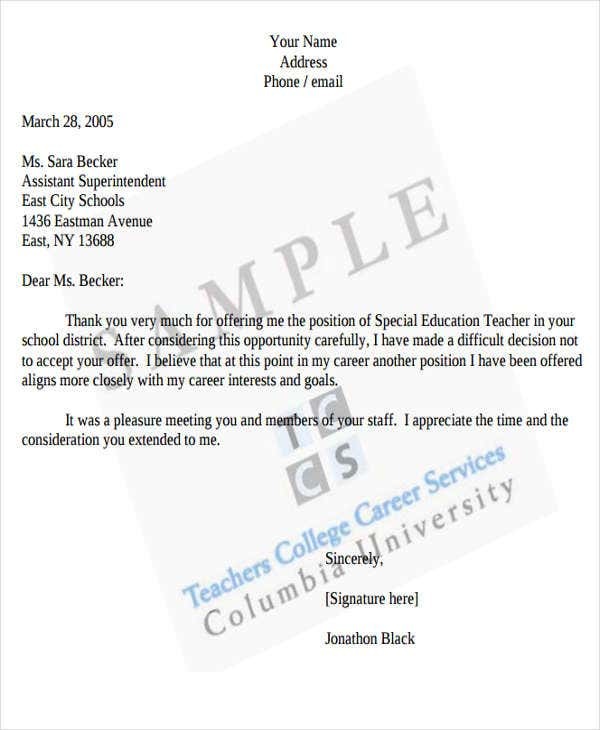 You may browse through this article to see different templates of an offer rejection letter templates or you may download other samples on our website should you want to have references not only in writing an offer rejection letter but other kinds letters as well. 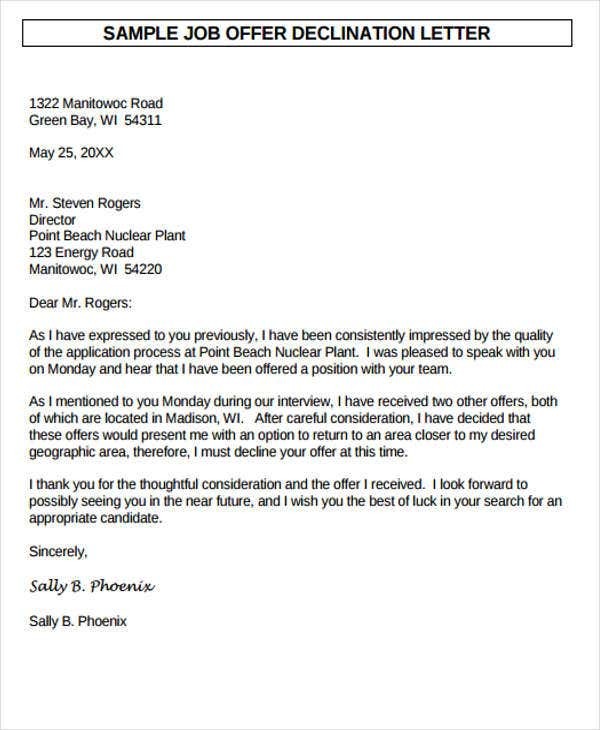 What Should Be in an Offer Rejection Letter? Provide a sentence or two for your appreciation message. Make sure that you let the company know that you are thankful for the opportunity that they want to give and for the trust that they are willing to risk on you. A short message saying the reasons why you are thankful may also be possible if you want to enumerate the items that you want them to know especially with regard to how you feel about the offer. Though there are positive notes that should be in an offer rejection letter, you should also be direct and firm in saying that you are deciding to reject the offer for reasons that you may list as well. The reason for rejecting the job offer should be well composed, and it should be able to let the company understand your situation that made you decide to not accept the job position that they are offering you should you want them to know about this item. 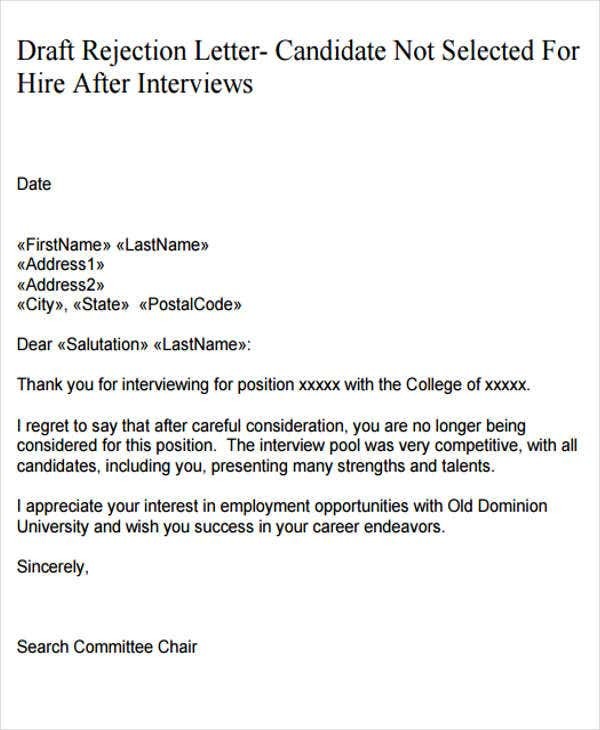 Our Job Rejection Letters are also available to download should you want to get more samples and templates related to rejecting job offerings from the companies where you have applied. Make sure that you are aware of the entire job offer and have reviewed it properly. Be professional with the language that you are to use and remember to always be polite. Always be sure to be specific with the items that you are to write. Do not fully close any doors as you may specify that you are open to any future professional ventures should circumstances allow you to work with them soon. Send them well-wishes and more future successes even if you have decided to not be a part of their company. 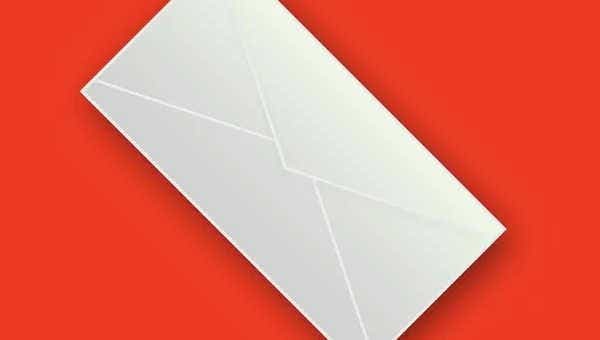 Other than the offer rejection letter templates that you can find in this article, we still have more Rejection Letter Templates that can be found in the link provided which you may use in different rejection transactions.